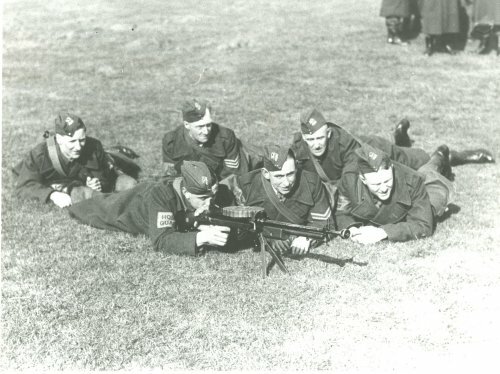 Training with a machine gun on Quorn Green. Left to right: Wilf Bailey, Norman Dowding, Charlie Teagle, Tommy Janes, Mr Hope, Cyril Adams. Various parades of organisations involving in waged war took place between 1939 and 1945.